Ezra got in touch with our clinic on the 21st of September 2017. During our first contact, he booked an appointment for a personal consultation in London for the 11th of October. Ezra’s main issue was the loss of density behind the hairline, affecting all three zones. Due to his commitments, he could book his surgery for January 2018. 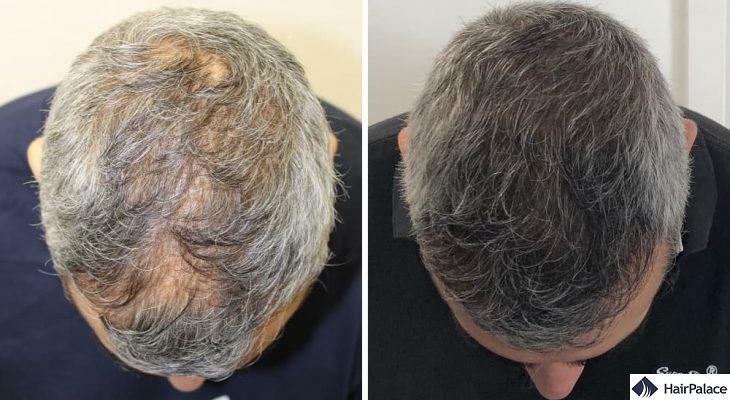 On the 12-13th of January Ezra had 5057 hairs transplanted with the FUE2 Safe System method. The surgeon had to consider his original density while taking care of the original hairs in the recipient area. The first few days after the surgery are crucial. For this reason, there are a couple of rules to observe and patients must take antibiotics during the first post-op week to prevent any inflammation. After the scabs are gone, some redness might remain. It fades away gradually, its duration depends on the sensitivity of the skin. 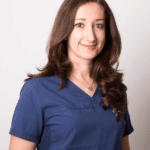 Starting from the 4th post-op week the vast majority of the transplanted hairs fall out. As a result, by the end of the 3rd post-op month, the condition will return to as it was before the procedure. 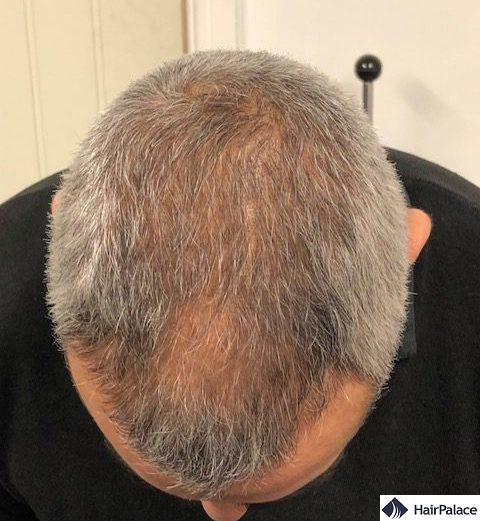 There is no need to worry at this point – the implanted roots remain in place and they start to grow new hairs around the end of the 3rd post-op month! 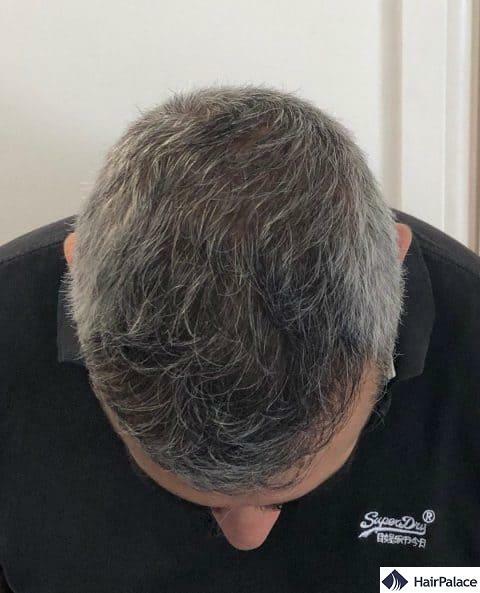 From the 4th post-op month, the new hair growth begins, and the density of the implanted area starts progressing gradually. 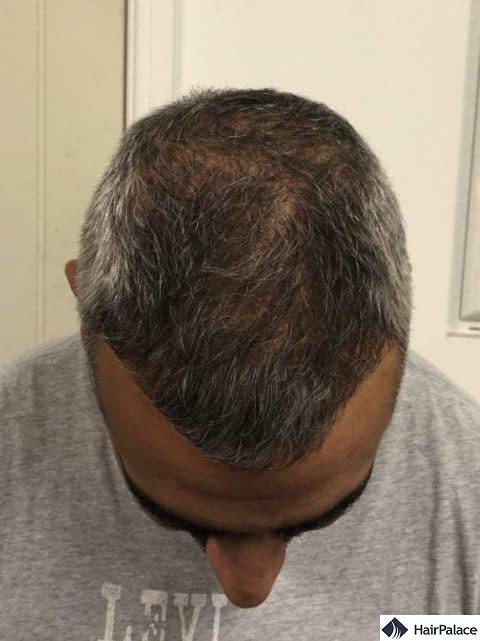 On the 6-month check-up photos, the hairline is more prominent and the density is much more even. 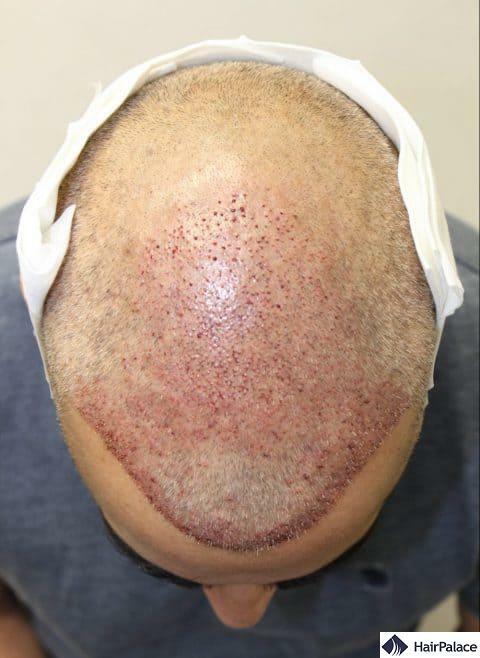 There are individual differences in the speed of the progress, but in general, the final result is visible 12 months after the hair transplant. 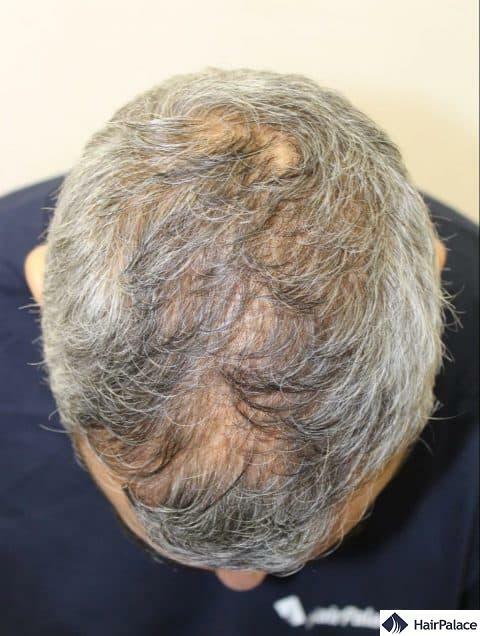 The progress was exemplary in Ezra’s case; on the final, 1-year check-up photo a high and even density is visible all over the scalp. With the FUE2 SafeSystem method and the proper aftercare, you can achieve exceptional results too! 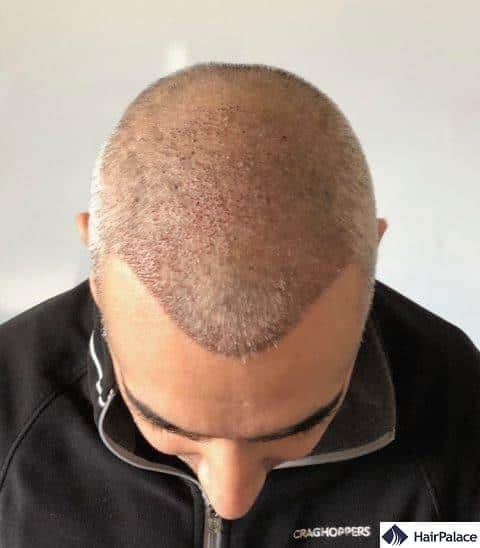 Contact our colleagues for further information about the hair transplant and the available dates on +44 330 808 0906 or info@hairpalace.co.uk! I’m interested in a treatment plan!